Do you decorated your house for Valentines day? In the past I haven't... but this year I thought I would... My daughter loves drawing and making hearts, so I think she will appreciate the little love I'm spreading around the house. Here is my latest project... a Valentine's Day Frame! So simple and yet so sweet! This image was created in the Silhouette Studio Designer Edition. To do this, chose your fonts, colour them in, and then print. Next, I used the heart SVG from here, to add some dimension and interest to the image. To make my life easier, I added a score line down the middle of the hearts, and cut them out with the Cameo. (Way easier then to score each heart in the middle by hand!) Embellish to your liking, place it in your frame... and voila, the perfect Valentines Day frame! Are you all in the Valentine mood yet? I sure am... I got hearts in my mind! The last time I made macaroons I was so excited that they actually turned out, that I just had to try making them again... this time since Valentine's Day is around the corner I thought I would make them in the shape of a heart. Aren't they adorable? To make the heart, I just piped them out in a "V" shape. Seriously could they be any cuter? This time I used a chocolate ganache filling.... sooooo yummy! Click here to see where the recipe came from and all the tips and tricks to make the perfect French Macaroon. Ann walks you through every possibility! Hope you enjoyed my heart mac's, I know I did! Well I guess it's time to start thinking about Valentine's anyway... so to get me in that mood I thought I would make a Valentine Heart Shaped Treat Box. So easy to make and yet so pretty... LOVE how it turned out! Absolutely LOVE SVG Cut files! 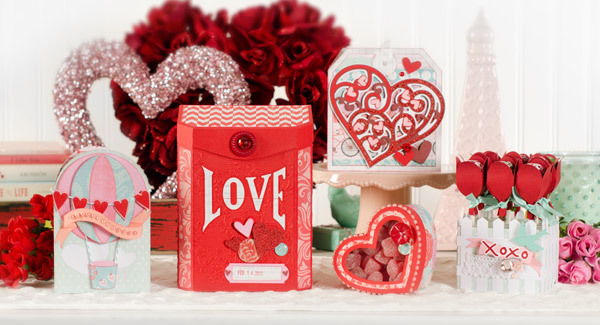 Check out the rest of the gorgeous files that come in this Kit! So excited today to share with you all my awesome news! Ok, well at least is for me.... I made the Cutting Edge Design Team! WOOOOHOOOO! So excited! Can you tell??? Doing the Happy dance right now!!! So if you are into paper crafting or thinking you might like to be, go check out the Cutting Edge Magazine! You can also find them on Facebook!